No, seriously, there are spoilers here. There’s a bit of a twist to Afterlife With Archie #10 (although from the first few pages, it’s obvious what that twist is going to be) and, unfortunately, there’s no way to discuss the issue without spoiling the twist. So turn back now if you don’t want the issue ruined. 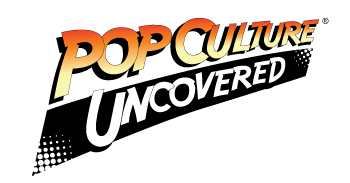 So Afterlife With Archie is back, but for the second time in the last four issues, the book detours from the kids from Riverdale to have a skewed look at another part of the Archie universe. 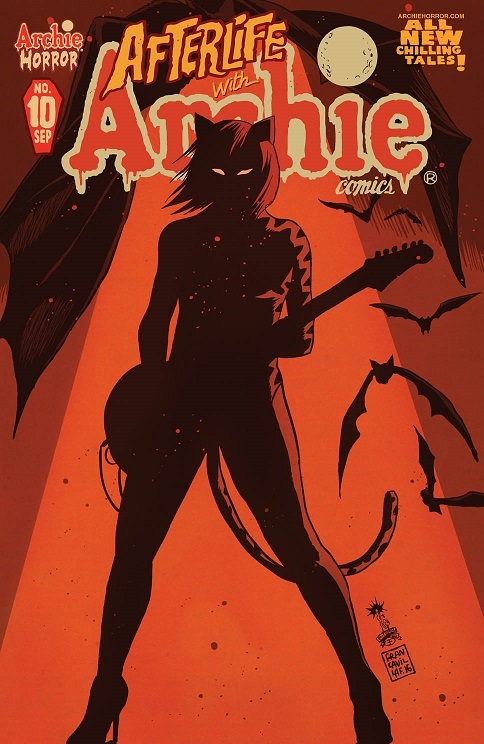 In this case, it’s Josie and the Pussycats, with Aguirre-Sacasa and Francavilla reinterpreting the musical teenyboppers as a (I TOLD YOU, SPOILERS) trio of immortal vampires who reinvent themselves as a different musical trio every decade. Honestly, the “vampire” portion of the story is readily predictable, as readers who are familiar with Interview with the Vampire will very easily see where this story is going. Afterlife with Archie has an open habit of cribbing from classic horror films, so as much of spoiler as the vampire revelation is, it’s really only the framework of where the story is going. Where Aguirre-Sacasa and Francavilla keep the story fresh and fun–dark as this story is–is in mixing Josie & the Pussycats’ century of history with the Americana they pass through (which, notably, Interview with the Vampire did as well). This story possibly mixes in bits of Little Orphan Annie and a very blatant reference to The Great Gatsby as Josie and her “sisters” become immortalized by a wealthy vampiric stalker. It’s a metaphor for the allure of fame and perhaps its cost as well–the girls enjoy the power of stardom, and Josie seizes on the opportunity to live it forever even as the price is very openly treated as being akin to sexual abuse. What we get are a darkened version of the Pussycats who, true to the authors’ vision, still remain familiar even as they’re disturbingly off-kilter. The “real” Pussycats have been around since the 1960s and constantly have to be reinvented to keep with the times, much as the overall Archieverse was revamped this year. In Forrest Gump fashion, the Pussycats move through American history and reappear every decade as an era-appropriate music group (in some cases, revealing themselves to have been actual music groups of the past, and obvious homages to others). It’s fun, even if it doesn’t sink its teeth into yesteryear as much as Gump did. The obvious downside to this issue of Afterlife With Archie is that the main story continues to slink along like a legless zombie: it’s progressing, but too slow to make a difference. The delays in this series have been frustrating, and to be hit with another side-story after so long is difficult, particularly since we already had one in issue #6. The ending suggests that the story of the Pussycats will somehow link back to the Riverdale kids, we’ll have to wait, and wait, and wait, to get there. Hopefully the larger picture of this will all make sense at some point. The story closes with a sort-of prequel to the series’ first issue, so this may be a fair jumping-on point for a new reader. It’s a good read as it is. For the “regular” reader (and we use the term loosely), there will be an element of frustration that it’s taken two years to get to ten issues. Rating: Four fangs out of five.